Old Greens Barn underwent a massive refurbishment in 2011 and is now a very popular venue for weddings. Set within the stunning countryside of Newdigate overlooking a fishing lake, the barn and surrounding farmland is steeped in history, dating all the way back to the 14th century and possibly the second oldest farmhouse in Surrey. Old Greens Farm has over 220 acres of woodland and since its current owners acquired the land in 1997 they have restored the barn beautifully with a traditional yet warm and rustic feel. 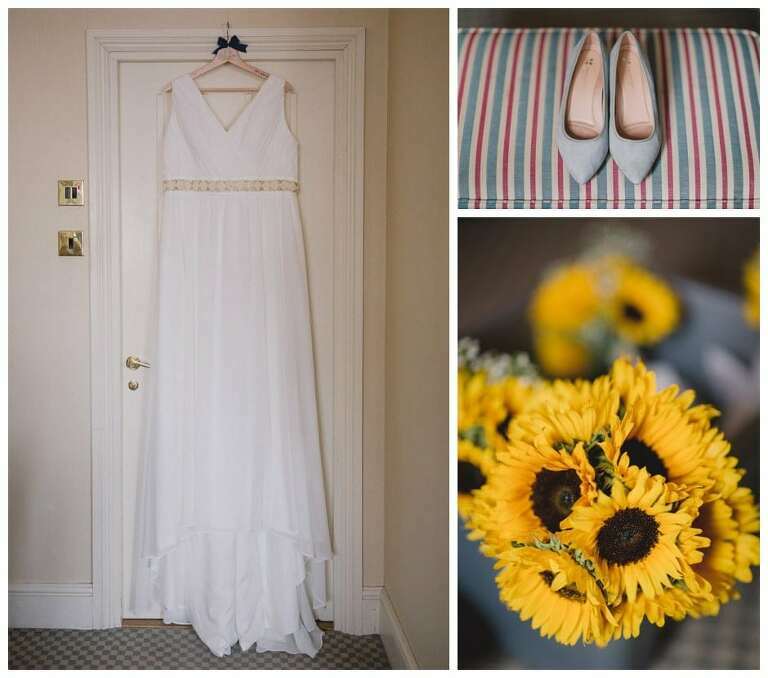 This wonderful country setting was the perfect choice for Lucy and Simon’s Spring wedding in April last year and having worked with the couple previously on their engagement shoot I knew it was going to be a great wedding. The ceremony took place in the atmospheric barn lit with hundreds of tea lights that made the perfect backdrop as the couple read their vows. As soon as Lucy and Simon walked down the aisle the party seemed to begin almost immediately as all of their family and friends rushed excitedly to congratulate them. After a glass of bubbly we headed outside to capture some relaxed photos around the beautiful surrounding grounds. The lake was very tranquil and allowed for some peaceful time out for a short while until we headed back inside to the action. The wedding breakfast was held in the marquee and the speeches had the guests gasping and laughing in equal measures – it’s at times like this when I really start to learn a lot more about the couples I work with! From there the dancing quickly got underway and everyone hit the dance floor busting their moves. With perfect twilight conditions outside I took the couple outside for one last time to capture some beautiful images with the night sky as the canvas. Lucy and Simon were amazing to work with from start to finish and I’m delighted with the resulting images from their wedding. Here’s a few of my favourites……..